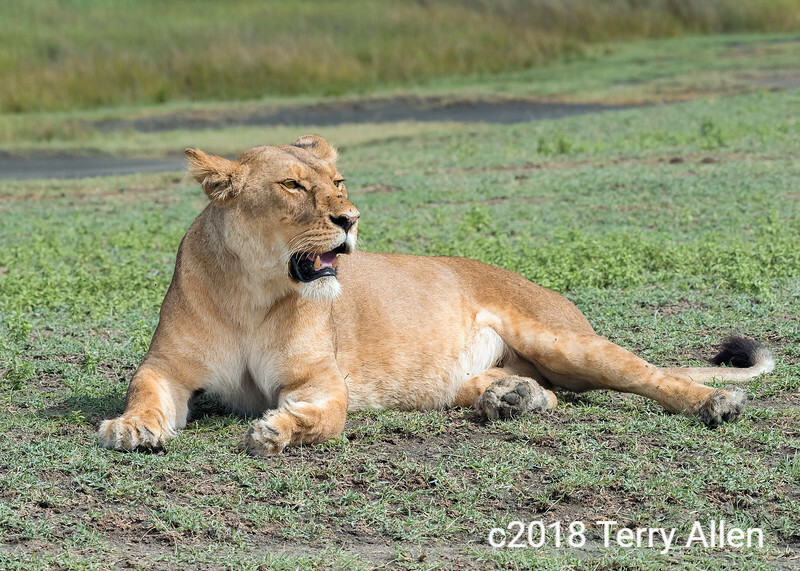 Lioness resting her full stomach during a post-prandial break but also keeping an eye on her partly devoured zebra carcass which is over in the direction she's looking. Lake Ndutu, Tanzania. Taking a break with limited opportunities to post or comment. And clearly comfortable enough with the presence of your safari group to feel unthreatened by you. Beautiful shot of the lioness. Resting, but not at all passive looking (still watchful)! Really beautiful portrait of the lioness !! Great pose ! Great capture of this fellow.